The Crown of Thorns starfish can be about as lethal as the families in Game of Thrones. CoT are carnivorous predators that prey upon hard coral polyps (Scleractinia). 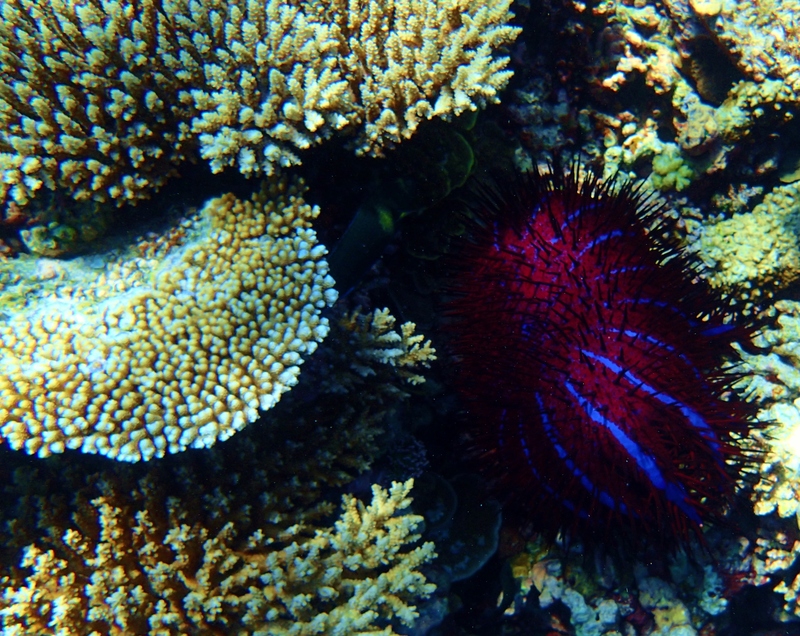 An individual can eat 10m2 in a day, if an outbreak occurs they can cause significant damage to a reef. Not only are they deadly to corals but they also have venomous thorn-like spines covering their upper surface, making them deadly to most predators as well. Not an opponent to face in battle unless you’ve got a long sword at the ready! Look at all those spikes, ouch!